According to a Resetera poster, inside Gal Gun 2 physical package is allegedly an insert ad for Punchline. This is by Uchukoshi, the creative mind behind the Zero Escape series (999, Virtue's Last Reward, Zero Time Dilemma) and a creator / writer of the Infinity series (Ever17). I have not watched Punchline yet, would you say it is a good anime? I am more interested in Little Witch Academia: Chamber of secrets time. 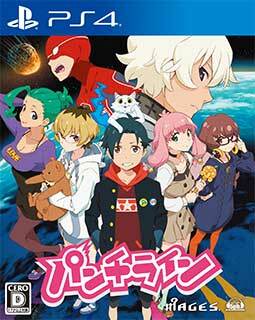 Edit: if this game from the same creator of Zero Escape then I may play this. It has its moments (and typical of Uchukoshi, it has its twists and turns). The premise is tough for people to get into though (since it is a bit perverse). Hearing chatter the game is good (the game has the true ending, the anime follows a different ending path). Got my copy today, sadly I can't really get started on it because I have too many games going on right now, hope to get to it soon though.